creamy sauce. Let it simmer for 3 minutes, add in ½ can tuna (with oil), carrots and cauliflower and season to taste. Transfer mixture into a baking or casserole dish. 2. 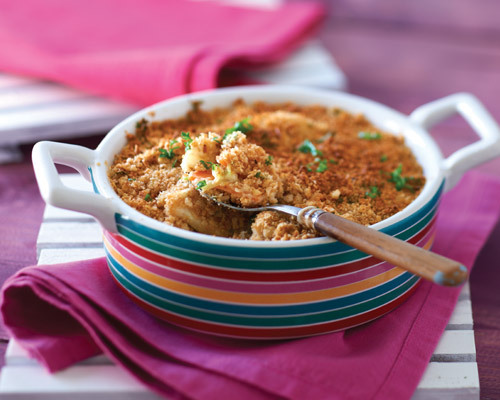 Mix all the crumble ingredients and sprinkle on top of the creamy mixture. Gently press it down and bake in a preheated oven at 180ºC for 20 minutes. 3. Serve hot with crusty bread and salad.